“A certain amount of opposition is a great help to man. Kites rise against and not with the wind. Even a head wind is better than none. No man ever worked his passage anywhere in a dead calm. Let no man wax pale, therefore, because of opposition.” – John Neal, 1800’s. What do we do when false rumors and stories are circulated about us? It is human nature to want to lash out and prove our innocence of whatever lie is being told. But is that what we are to do? 2CO 4:4 …the god of this world hath blinded the minds of them which believe not, lest the light of the glorious gospel of Christ, who is the image of God, should shine unto them. HEB 11:16 … they desire a better country, that is, an heavenly: wherefore God is not ashamed to be called their God: for he hath prepared for them a city. These are those whom “the prince of this world” hates the most, and are those whom he has sought to destroy from the very beginning. His greatest desire is to extinguish the faith of the saints, that they will lose their eternal life and be ultimately destroyed along with him and his fallen angels; but if he sees that he cannot do that, he does all within his power to physically destroy them and hinder their work of spreading the Gospel of Salvation. JOH 15:19 If ye were of the world, the world would love his own: but because ye are not of the world, but I have chosen you out of the world, therefore the world hateth you. 20 Remember the word that I said unto you, The servant is not greater than his lord. If they have persecuted me, they will also persecute you; if they have kept my saying, they will keep yours also. Christ didn’t say, “they MAY persecute you”, He said “THEY WILL”. And especially today, as we near the return of Christ, Satan is full of “great wrath, because he knoweth that he hath but a short time”. (Rev. 12:12). There remains the finishing of God’s work before He comes again, and we MUST be aware of the work of the evil one. We must understand what is going on around us. MAT 5:11 Blessed are ye, when men shall revile you, and persecute you, and shall say all manner of evil against you falsely, for my sake. 12 Rejoice, and be exceeding glad: for great is your reward in heaven: for so persecuted they the prophets which were before you. These “ministers of righteousness” are foremost among the ones who point to those doing God’s work and proclaim it to be lies, while claiming that THEY are God’s true workers- “Listen to me!” Especially when the Truth cannot be repudiated do they formulate false accusations and repeat slanderous remarks. This will not change while we live on this present earth. GEN 41:39… there is none so discreet and wise as thou art: 40 Thou shalt be over my house, and according unto thy word shall all my people be ruled: only in the throne will I be greater than thou. 41 And Pharaoh said unto Joseph, See, I have set thee over all the land of Egypt. Satan knows how to cleverly design the lies and accusations against the saints. In Joseph’s case, he had no way to prove his innocence. It was his word against that of Potiphar’s wife. And who would Potiphar believe- his wife, or Joseph? Human nature leads men to take the word of those in “high positions” over the word of the lowly, common man. And Joseph was a slave. Joseph’s life was a lesson for mankind all through the ages- he placed his reputation in the hands of the only Judge Who can truly know the heart. And for a season, it must have seemed bleak for him, locked up in that prison. But he never wavered in his faith and because of his righteous character, God was able to use him to provide a temporary safe haven for the nation of Israel to grow and thrive in. 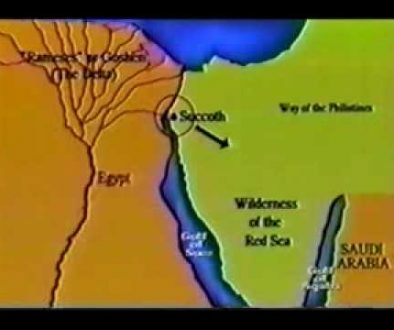 They were given the “best of the land, the land of Rameses”, or “the land of Goshen” (Gen. 46:6, 11) all because of the favor given Joseph by the Pharaoh. But our ultimate example is always Christ. Harsh words and thoughts of revenge against those who malign us bear no likeness to the character of Christ. LUK 23:33 And when they were come to the place, which is called Calvary, there they crucified him, and the malefactors, one on the right hand, and the other on the left. 34 Then said Jesus, Father, forgive them; for they know not what they do…. 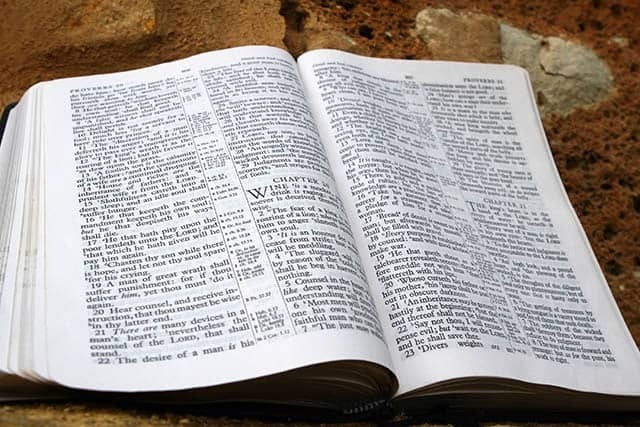 OPPOSITION For many Christians, this may be the most difficult test they will ever face. For the last 1 1/2 years we have had to sit back and watch helplessly as someone we love dearly was falsely accused of a terrible crime he did not commit; a crime which evidence has proven he did not commit but which evidence was not allowed to be heard in court. Forsaken by his church and friends, he now is in prison facing a long sentence. But through this horrible ordeal, he has continued to manifest his faith in his Savior and has won many souls to Christ behind those bleak prison walls. During our many conversations with him, not once have we heard him speak vicious remarks about the one who set him up and arranged evidence to make him appear guilty. 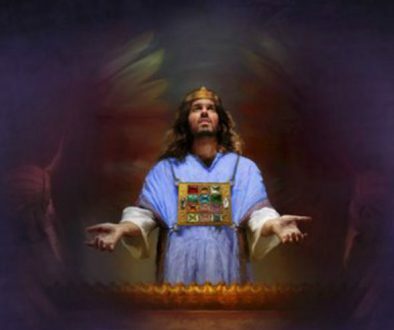 I dare say that he will have many stars in his crown; many souls will be saved that may have never gotten a chance to hear the Words of Life if he had not suffered so greatly – and remained faithful in spite of the persecution he has faced. Satan is constantly working to discredit God’s Truth in whatever manner he can. But Truth carries a power with it and it will prevail. Maybe not in our “timing”, but in God’s perfect timing. For a while, Joseph suffered greatly from the false accusations made against him. But he was vindicated and his innocence made evident. Many, many will oppose the Truth and speak out vehemently against it. But the more the arguments against it, the more Truth shines. Some who may never have taken an interest in it before, have their curiosity aroused when they hear the controversy; they decide to investigate this subject which is causing such a turmoil. Those who have a sincere desire to know what is Truth, will know and understand. For others, no amount of evidence will suffice to change their minds, which brings to mind another consideration. NEH 4:20…our God shall fight for us. NEH 6:6…It is reported among the heathen, and Gashmu saith it, that thou and the Jews think to rebel: for which cause thou buildest the wall, that thou mayest be their king, according to these words. 7 And thou hast also appointed prophets to preach of thee at Jerusalem, saying, There is a king in Judah: and now shall it be reported to the king according to these words. Come now therefore, and let us take counsel together. Again, the Bible gives us plain instruction on how to handle opposition. In this case, Nehemiah faced treacherous dangers- had he been a man of weak faith who was intimidated into meeting with the heathen enemies, he would have surely been killed. When threatened with being reported to the Persian king as a traitor, he knew the punishment was certain death. But he knew that God would protect them and strengthen them to finish the work as long as they were faithful to Him and put their complete reliance in Him. He never condescended to expend any precious time and energy in counsel or debate with the opposition. And the result? They finished the wall. If we allow the opposition to intimidate us – stop us from the work we have been given to do – in order to meet false accusations and try to work things out, we will lose the battle. 2PE 2:2 And many shall follow their pernicious ways; by reason of whom the way of truth shall be evil spoken of. 3 And through covetousness shall they with feigned words make merchandise of you: whose judgment now of a long time lingereth not, and their damnation slumbereth not. We must go forward and have confidence that He can overcome all difficulties. We must learn to reflect the character of His Son when faced with persecution and false accusations, and not react with indignation. HEB 10:35 Cast not away therefore your confidence, which hath great recompence of reward. 36 For ye have need of patience, that, after ye have done the will of God, ye might receive the promise. For the RecordEvery soul, even those who attack us the most bitterly, is precious to Christ. When we loudly speak out against their attacks and protest that they are false accusations, we erect a barrier; that person is immediately on the defensive because we have counterclaimed that THEY are indeed the liar, not ourselves. And these very ones may, like Paul, honestly “think that he doeth God service” (John 16:2) by denouncing us. But they may simply still be in ignorance and know no better. They may not have yet rejected Truth and may yet be won to Christ. We do not know who has and who has not rejected the last pleas of Mercy. We must not denounce our opponents nor treat them with a lack of respect. We must, as Joseph, place our confidence in God. We must have a care and consideration for those who are lost, no matter what they may have done to us, and pray for them as Christ did. During the course of Ron’s work on the various projects, numerous people have wanted to become involved. Some have felt Ron was unqualified to continue the work because of his lack of credentials and they pursued independent research without Ron. While initially, some of these people declared a belief in the validity of certain discoveries, they today have changed their opinion. And we fully believe everyone has a right to their own opinion. However, sometimes all of the facts concerning some of the independent research isn’t made available along with the “change of opinion”, so we felt it was time to discuss some of these matters. Although we are supposed to meet opposition with the same meek Spirit as Christ displayed, we are obligated to state the simple facts so that people may have the means to make an intelligent decision as to what they believe. ERZURUM, TURKEYThis report explains in highly technical language the process and data of their radar scans, which were performed by “geologist/radar operator Thomas Fenner” (p 6). The scans were performed with an “SIR System-8 ground penetrating radar manufactured by Geophysical Survey Systems of Hudson, New Hampshire”, whose “antenna was dragged across the site on transects spaced two meters apart. Radar pulses approximately 5 nanoseconds in width were transmitted at a repetition rate of 50 kHz” (p. 2) with “the radar operating at a frequency of 120 MHZ in order to achieve the maximum penetration” (p. 8). “The most noteworthy feature observable in the data of Figure 7 is the V-shaped reflector that is particularly evident in the transects between y=-6 m and y=-50 m. When the topographical variation of the surface is taken into account, one finds that this feature is almost planar in form. The large amplitude of the back-reflected radar signal suggests a large contrast in the dielectric properties of the two sides of a sharply defined interface. The material above the interface presumably is the clay soil observable at the ground surface and exposed to several meters depth in the scarp surrounding the site and in cracks and gullies in the adjacent mudflow environment. The crucial issue is the type of material which lies below the interface. Is it bedrock that rises up through the mudflow to form something like a small island around which the flow moves? Or is the material something other than bedrock. At least two considerations suggest that it is not bedrock. The first is that in the transects between y=2m and y=20m and x>0 in the vicinity of the rock that outcrops at the surface, one does not observe consistently strong reflections of a similar character. The most likely candidate for the bedrock material is the calc-schist rock that forms the hills on either side of the mudflow channel and that comprises the outcrop near the middle of the site. Since the low amplitude radar returns near the outcrop imply a small dielectric contrast between the clay soil and calc-schist rock, the strong reflections of the prominent V-shaped feature are probably not caused by a transition from clay soil to a calc-schist bedrock. A second consideration which argues that the material below the reflecting interface may not be bedrock is that in several scans, especially between y=-18 m and y=-38 m, there is a double reflection, suggestive of a layer, rather than a simple transition into a material many meters thick. To find such an extensive, almost planar, layer buried within a channel through which a huge volume of mudflow material has moved in a chaotic fashion is highly anomalous from the standpoint of known landslide and debris flow mechanics. If the layer pertains to a buoyant man-made structure, the layer’s present setting suggests that the structure has been transported to the present location by a landslide event where it was stranded upon the rock which now outcrops near the middle of the site.” (Pps. 8 & 10). In simple terms, this report states that those radar scans did NOT rule out the possibility that the site contained “the remains of Noah’s Ark”. In fact, the data presented in this report of a “sharply defined interface” that is “almost planar in form” is entirely consistent with Ron’s 1984 conclusion that the floor of the hull is covered with ballast material, which he believes comprises the “interface” they detected. He had found large masses of manganese dioxide which had fallen out of the interior of the boat-shaped object where a 3 foot section of the northern end had broken away leaving a hole into the interior. Ballast is placed in the hulls of ship to provide stability, and it is secured in sections which hold it in place and prevent it from shifting. Could the “interface” they detected have been the actual petrified timbers of the floor of the hull, as well as the ballast? It’s possible,- in fact we believe this is quite likely. Since the density of the ballast material and that of the fossilized hull would be so much denser than the clay material and the calc-schist of the bedrock underneath the site, there would not be a recognizable interface between these 2 similarly dense materials. This concept is demonstrated by their statement concerning the “small dielectric contrast between the clay soil and the calc-schist rock”. The Depth Revealed by the ScansThis “planar” shaped interface varied between “4 to 8 m depth”(s), or 13 to 26 feet beneath the surface, which again confirms Ron’s initial 1979 measurements taken through the longitudinal crack which was produced by the December 1978 earthquake. Ron’s diagram with measurements, published in his 1980 booklet, “Noah’s Ark- Found” is seen below. Interestingly, it was the 1984 specimen of “ballast material” which Col. Jim Irwin sent to Los Alamos Labs for analysis as a favor to Ron which first captured John Baumgardner’s interest and led to his participation in researching the site. 1988 Core DrillsThe above discussed report states in its conclusion the necessity of doing some core drills, which they were able to do in July of 1988. For a moment let’s consider the size of “core drills”. Those taken during this 1988 independent group were 3 Â½ inches in diameter. The entire surface of the site would therefore accommodate several hundred thousand 3 Â½ inch core drills. How many were performed and what did they reveal? “…Between July 28th and August 7th we succeeded, praise God, in drilling four holes to a depth of ten meters and recovered reasonably good cores from each of the holes. Three of the holes were near the centerline of the site while the fourth was near the outer flank of the longitudinal hump…. Another notable discovery was the presence at three locations in the mudflow layer of nodules of the bright yellow mineral limonite. Limonite is the hydrated oxide of iron, and its occurrence in this environment appears to be anomalous. Just how anomalous is the crucial question, since the minerals in the rocks in the source area of the mudflow have a moderate iron content. However, during the months now that I have worked at the site, I have never seen this bright yellow material anywhere in the fissures or exposures in the mudflow clay. Because earlier investigations led us to suspect unusual amounts of iron in site, these occurrences of limonite are of special interest because they could represent the rusted remains of metallic iron objects. Taking 4 core specimens of 3 Â½ inch diameters from a site 515 feet long does not provide a fair representation of material present. And even with this minute amount of specimen, evidence was found of an extremely high iron content, including limonite. The Battle IntensifiesThe term “Carboniferous” was coined to describe a period of “geologic time” which supposedly began about 345,000,000 years ago and lasted until about 65,000,000 years ago, based on the concept of evolution. But, as we have discussed before, this is because evolutionary scientists think it had to take millions of years for the various “strata” to form or be laid down. So, what does the “Christian” believe? Sadly, many believe this is exactly what happened. Various Strata Laid by the Flood John MacKay’s wonderful discovery is absolute evidence that a flood lays down NOT one single strata, but in this case 150 IN ONE WEEK! And this Washington State flood was small, even minute, when compared to the universal flood of Noah’s time. A Point to Ponder When we rush to blindly accept the “word” of learned men, scientists, scholars and theologians based on the fact that they are supposed to possess higher knowledge and are men of “good reputation”, keep one thing in mind- there were certainly “wise men”, scholars and scientists BEFORE the flood; but how many got on the ark? has come across the various and sundry.But there is one particular story that does need to be discussed at this time. It will demonstrate quite clearly how tall tales “get taller” and why we must be so very careful. One person Ron took to the ark site became convinced it was the true ark. (I won’t mention his name because it is not our intention to point him out – only to make known what occurred and how.) He had read all the “ark tales” and believed one, in particular, had been erroneously reported. He believed it was not a tale about an “ark siting” on Ararat, as the story stated, but that it in fact referred to the real site, 12 miles south of Ararat. 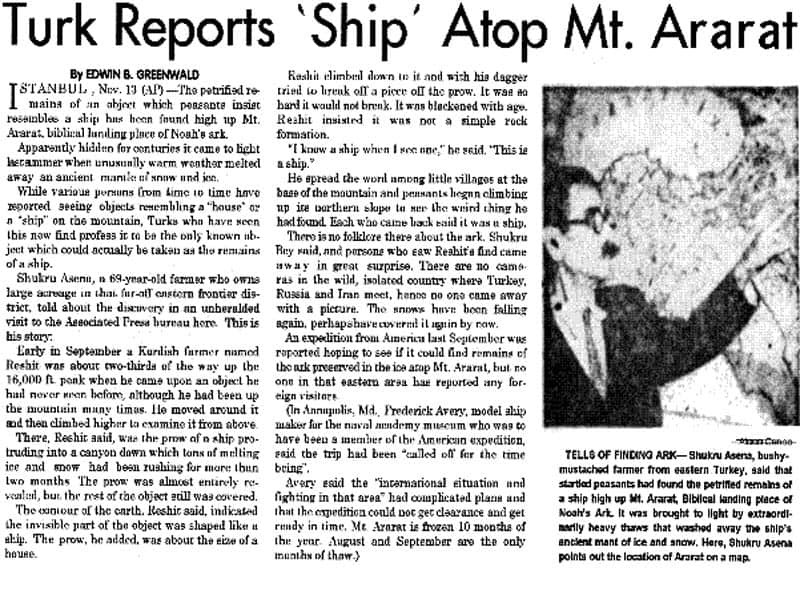 The article is seen above, but in summary, the Nov. 13, 1948 Associated Press story presents about a Kurdish farmer named “Reshit” who said he saw a ship resembling a house about 2/3 of the way up Mt. Ararat. Supposedly, the unusually warm weather had caused the ice and snow to melt enough that the “prow of a ship” was “protruding into a canyon down which tons of melting ice and snow had been rushing for more than two months”. “Reshit” was out in his field one day when an earthquake struck. Up from his field popped a ship. It was NOT on Mt. Ararat. And, of course, everyone believed it was Noah’s Ark. Further “details” emerged- the earthquake struck on May 15, 1948, which happened to be the day Israel became a state. By now, the original 1948 report bore no resemblance to this “new” tale. See Isaiah 50:11. At the time the interview took place with the “new Reshit”, Ron’s Turkish liaison, Mine Unler, and the governor of the province of Agri, Gov. Sevket Ekinci, were also in Dogubeyazit. After seeing what was taking place, Ron asked the governor (through Mine) to ask Reshit if he was telling the truth. In the lobby of the Ararat Hotel (now the Isfahan Hotel), the Gov. went over to Reshit and questioned him. Reshit readily admitted that a group of men had come to him and asked him if he would like to “make a tourist happy” and also “make some money”. Of course, he was more than willing. When brought to the hotel, all he did was “follow the lead” when questioned, answering in the affirmative when asked each detail. “Var, var, var!”. (Yes, yes, yes!”) Money exchanged hands and everyone was happy. Of course, once he learned what the story was, he repeated it when questioned. When Ron told the man who was with him ( who had sought the “new Reshit”) what the governor had said, he would not believe it. He had gotten the story he wanted and seemed to believe it was true. Another thing the original article about Reshit’s story mentions is that “There is no folklore there about the ark,…” This is exactly what Ron discovered when he first began his field work in Turkey. His required Turkish liaisons traveled with him to a large number of villages in the region, asking about information on a large ship in the area. No one knew anything about a ship, much less Noah’s Ark. There is a good reason for this. In 1915-1917 the original inhabitants of this region were completely run out, and the people who “moved in” had no knowledge whatsoever of any “folklore” of the region. Being tribal and closed to communication with any neighbors (just as they are today) they had no knowledge of the history or folklore of the region. Sadly, serious researchers studying the evidences of Noah’s Ark, have innocently accepted the “new” story of “Reshit” as being factual because they did not have access to “the whole story”. That is the sole reason we have discussed it here. Another “tall tale” One of the biggest frustrations we experience is the total vulnerability people have to any tale that comes along. Another example is the 1993 documentary that was shown of CBS entitled “The Incredible Discovery of Noah’s Ark”. One of its featured stories was that of George Jammal who showed a piece of wood he claimed came from the ark. His tale began with he and his companion, “Vladimir” climbing Mt. Ararat in 1984 and finding the ark. They even made photographs, but unfortunately, “Vladimir”, while making photographs, fell into a crevice (with the camera) and of course, died. George Jammal’s story was recommended to the producers by a well-respected educator in the field of creation science who vouched for Jammal and the integrity of the story. However, it turned out that Jammal had never even been to Turkey. His wood was not from Noah’s Ark, but was just a piece of contemporary wood he had cooked in teriyaki sauce and other juices. The hoax caused quite a stir and rated a full page in the July 5, 1993 “Time Magazine”. Sometimes tall tales are innocently repeated by people who sincerely but mistakenly believe they are true; but sometimes, as we have seen, they are purposefully concocted. Sometimes, they are accepted as fact without the proper research to verify if there is just cause to believe they may be factual, as we have also seen. 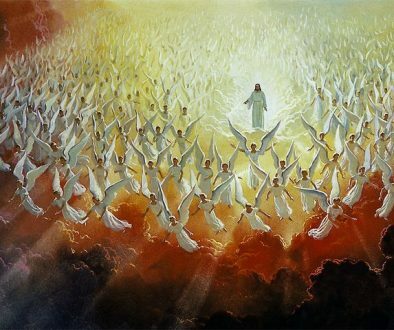 When God reveals things for His people, the evil one and his fallen angels are right there, ready to do whatever it takes to take away what He has given us, and to TRY to turn His Truth into a lie. But remember His promise, that “the Spirit of truth” and NOT man, will “guide you into all truth:…” (Joh. 16:13). Dr. Ekrem AkurgalOne question Ron has been asked numerous times is “What do real archaeologists say about the Noah’s Ark site?” In our video, “Discovered- Noah’s Ark”, Ron is seen discussing the evidence with Dr. Ekrem Akurgal in March of 1985. Dr. Akurgal states, “At any rate, it is a ship, an ancient ship… It must be preserved…” Who is this “Dr. Akurgal”? Ron first met with Dr. Akurgal in 1984 when the Turkish government sent their own team of scientists to independently investigate the “boat-shaped object”. Dr. Akurgal, considered “The Dean of Turkish Archaeologists”, was provided the results of Ron’s research as well as that of the Turkish team. In March of 1985, Ron took David Fasold to the site for the first time. Mr. Fasold wanted to also meet Dr. Akurgal, so Mine Unler arranged a meeting in Ankara before they went to the Ark site. It is a portion of this meeting that is seen in our video on Noah’s Ark. Ron met with Dr. Akurgal again after the official results of the study were made public, when he officially stated his opinion that the site contained the remains of an ancient ship, based on all evidence. He presented Ron with a copy of his book, “Ancient Ruins of Turkey”, and inside, he autographed it. Dr. Akurgal is extremely well respected, not only in Turkey, but throughout the entire world. His credentials and accomplishments are remarkable. Yet, most people in this country are not familiar with his work and reputation. We were very pleased when, on his last trip to Turkey, Ron read the following article in the August 1996 “Turkish Airlines’ SKYLIFE” Magazine. Now, our readers can learn about the “real archaeologist” who played a major role in the official decision of the Turkish government that the “boat-shaped site” does indeed contain the remains of “Noah’s Ark”. It is written in both Turkish and English, and to save space, we have cut out the Turkish-language portion of most of it. Dr. Akurgal- One Last Note:As you have seen in the previous article, Dr. Akurgal is a “real archaeologist”. It would be difficult to believe he is the type of man who would declare a site to be Noah’s Ark simply for the sake of tourism. Yet, that is essentially the claim that has been made by some who were unhappy with the official Turkish decision, of which Dr. Akurgal had a part. I would find it hard to believe that a man who presented then President of the United States, Dwight D. Eisenhower, with an honorary Doctorate at the Faculty of Political Science in 1958 would jeopardize his reputation by taking a position he did not believe to be accurate. The Cherub from Zedekiah’s CaveIn newsletter no. 12 (which is also in our Ark of the Covenant book) we discussed the etching of a cherub which was found in the quarry underneath the Muslim section of the old city of Jerusalem. If you will recall, we discussed this quarry because Ron had found one of the numerous pillars of rock (left in place to prevent collapse) was not actually “rock”, but dirt and debris piled up to look like a pillar of rock. This, he believes, hides an entrance from the city into the cavern. He also found a blocked up tunnel, which he believes may be the path taken by those who hid the Ark of the Covenant and other items from the temple. The etching of the cherub was found on the wall of one of the stone pillars in the general vicinity of the tunnel entrance. We showed a sketch made by the Charles Clermont-Ganneau expedition that studied the cavern, but we could find no photographs. 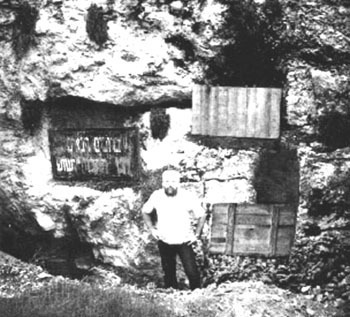 Clermont-Ganneau, a French scholar, was the first to systematically research the cavern, and was sponsored by the Palestine Exploration Fund. He first spotted the etching, carefully sketched it, then removed it and the block of stone around it, sending it to the Palestine Exploration Fund office in London. Because of its typical Assyrian style, it was dated to the time when Jerusalem was under the cultural influence of Assyria, which was the time of the first temple period. It also fit the Biblical description of a cherub. 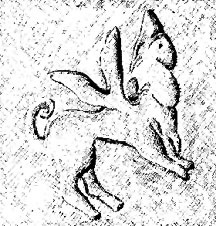 Ron theorized that it was possible that when the Ark and other items were hidden just prior to the destruction of Jerusalem by the Babylonians, this “cherub” was carved on the wall near the tunnel through which they were taken, symbolizing the protection of God’s angels over these holy things. Marv and Renetta travel extensively, and in spring of 1995 they went to London. 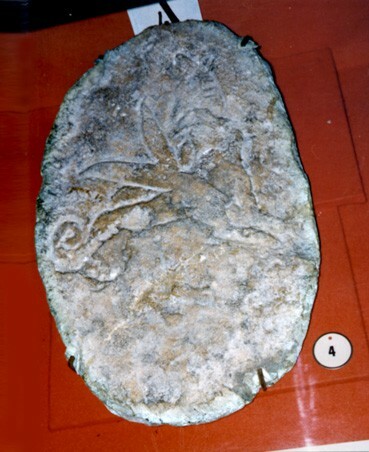 The booklet we had received several years ago at Zedekiah’s Cave stated that the stone etching was then (in 1989) in a large museum in London. I won’t mention the name of the museum because of the story Marv and Renetta related of what they found out in London. They went to the large museum and asked to see the etching. No one knew anything about it, but they kept inquiring. They finally explained the story of the etching to the person in charge at the museum, who went and looked it up. She informed them that she did indeed find the object in the records, but that it was not at this museum. It was at the office of the Palestine Exploration Fund – the same organization that had sponsored the expedition that had removed the etching. She gave them the address and Marv and Renetta went there. They were cordially invited into the office. When they explained the reason they were there, they were told that “yes”, the etching was in the basement. They were taken down and allowed to photograph it. Then, they were told that it had been hidden for many years and only recently had been put back on display. The reason was as follows: Many years ago, the curator of the large museum they had first visited had desperately wanted the etching for his museum. Because of the “political clout” this museum possessed, it was feared that he would succeed in obtaining it, so it was hidden away. It remained in hiding until after the death of the man who wanted it. By then, it was pretty much forgotten until a few years ago. One of the photographs Marv and Renetta gave us can be seen above. Considering the story of how it had been hidden away for so many years, and then virtually forgotten, it will be interesting to see the final outcome of everything and what, if any, significance comes of it. And, we want to thank Marv and Renetta for the photos! The “Cut-Outs” Above the CrossAs you will recall, when Ron began excavating the site he had referred to as “Jeremiah’s Grotto” (not the traditional site) in search of the Ark of the Covenant, the first thing he found as he cleared out the dirt and debris down the cliff-face was a group of 3 niches, or shelf-like cut-outs, in the face of the quarried wall of Mt. Moriah. Later, he found several squarish holes he believed held crosses for crucifixions, with one hole on a ledge several feet above the others, and all buried beneath several destruction levels. The cross hole on the ledge, he later discovered, was about 14 feet below the bottom edge of the lowest “cut-out”, which led him to conclude that this was the hole which held the cross of Christ, with the signs reading “Jesus, King of the Jews” written in the 3 languages of Jerusalem at that time being placed in the shelf-like “cut-outs” above. He had learned from his research that it was the normal practice of kings and others to place signs in highly visible places, carved in rocks, but we had never seen any that were clearly like these. There was no other explanation for 3 large niches cut out in the face of a cliff, over 14 feet above what was then ground level- but we still have continued to search for other similar examples. From Where You Least Expect…. We learned a long time ago that we can search and search for something, and then, from where we least expect it, we find it. During the course of his research in the Babel area of Turkey, Ron has developed a friendship with a young man who lives in the region, and who acts as his guide. On several occasions, Ron has asked him to do “advance work”, checking out possible locations prior to Ron’s arrival. On his last trip, Ron saw a site he wanted to further explore, but some unrest in the region made it necessary to cut the visit short. So he asked his young friend to return and photograph everything in the area. When we received the photographs from him, I went through them since Ron was out of town at the time. The notes on the photographs indicated that the large stone structure along the Euphrates was an ancient Roman building, which he termed a “castle”. One feature of this niche with the inscription, in particular, caused me to run and get out our photographs of the “cut-outs” Ron had found: the shape of the upper edge of the carved-out niche with Vespasian’s name was curved, not straight as was the bottom ledge. As I compared it with our photos of the “cut-outs” Ron had found, I saw the same curve in the upper edge of the “cut-out” on the left! Of the 3 “cut-outs” Ron had found, they were in a staggered configuration – two were on the right side (facing them), one above the other, with the third one on the left. Of the two on the right, the top edge of the lower niche formed the ledge of the upper one. It did not display this “curve” which makes perfect sense – if a sign was to be placed on the ledge, it would have needed to be straight, not curved or else the sign would not have set straight. The top niche has no defined upper edge as it appears that the natural indentation of the cliff-face was used as the inset. Here was positive evidence that these “cut-outs” were distinctly Roman in style AND that they dated to the general time of the Roman occupation of Jerusalem.